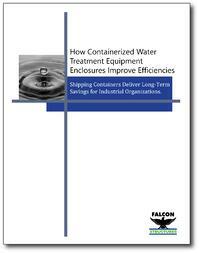 We appreciate your interest in our guide: “How Containerized Water Treatment Equipment Enclosures Improve Efficiencies.” We've also sent you a confirmation email that includes a link to the download. More questions? Ready to launch a shipping container project of your own? Call us at 877-704-0177 or drop us an email at sales@falconstructures.com.